Dog bites can result in severe, painful, and permanently disfiguring injuries. Sometimes a dog bite turns into a mauling that requires a stay in the hospital and extensive plastic surgery to repair the wound. In California, the owner of a dog is legally responsible for all injuries and damages caused by his or her dog’s bite, even if it was the first time the dog had ever bitten anyone and had never shown any sign of aggression previously. The owner of a dog is responsible for the dog’s bite even if the bite occurred on the owner’s own property, if the person was lawfully on the property. For instance, the mailman or a meter reader has to go on the owner’s private property to carry out his or her job. Or a person may be on the owner’s property with the express or implied consent of the owner. Some breeds of dogs tend to be more vicious and aggressive than other breeds. 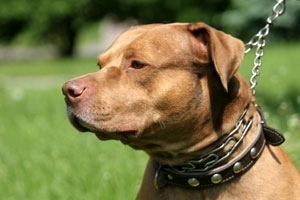 Two of the most aggressive dogs that are responsible for a large number of dog bites are Pit Bulls and Rottweilers. In addition to being naturally aggressive, these breeds of dog are often taught by their owners to be even more aggressive than usual. When these dogs bite or attack a person, serious injuries—even death—can result. Young children do not understand the importance of being cautious around a strange dog and may be looking to play or pull the dog’s tail, causing the dog to bite. If the child is under the age of 4 years old, the dog’s owner cannot avoid responsibility by claiming the child provoked the dog into biting, as the child is legally too young to understand the risks and dangers involved. Most cities have “leash laws” that require a dog to be on a leash and under the owner’s or keeper’s control at all times when the dog is off the owner’s property. If the dog is known to be vicious and has bitten people in the past, the owner may be required to put a muzzle on the dog when he or she takes the dog out for a walk. If you or a loved one has been seriously injured or killed by a dog’s bite or mauling in the Inland Empire, it is important that you contact an experienced personal injury attorney immediately so he or she can start working on the case right away to obtain all the monetary compensation you are entitled to. This entry was posted in Personal Injury and tagged dog bite, leash laws, private property, unleashed, unrestrained. Bookmark the permalink.